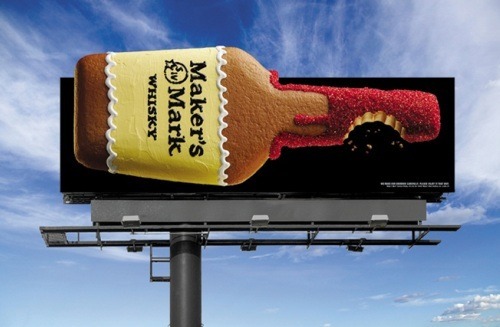 Maker’s Mark is known for great bourbon, of course, but it’s also known for its clever marketing, from homespun letters in newspapers and magazines to amusing, eye-catching billboards that capitalize on that red-wax seal. It’s fair to say that Maker’s has become one of the most iconic – if not the iconic – brands in the spirits industry. 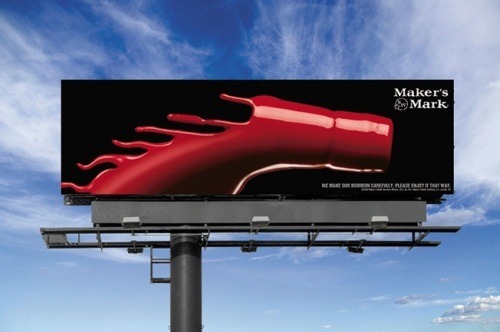 In recognition of its outdoor advertising in particular, the Outdoor Advertising Association of America has conferred its highest honor on Maker’s Mark, presenting it with the OBIE Hall of Fame Award for 2012. The award places Maker’s Mark in the select company of brands such as Apple, Nike and McDonald’s. Above are some of the billboards that led to the award, courtesy of Doe-Anderson of Louisville, the only agency Maker’s Mark has employed in its long history. I’ve always particularly liked the one that turns the wax into a horse’s mane. 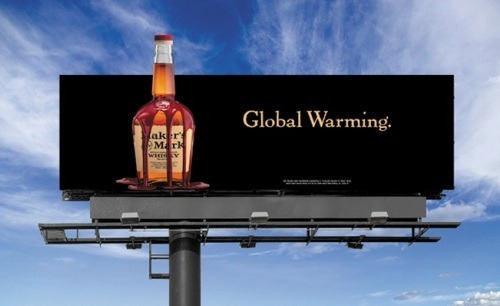 Do you have a favorite Maker’s Mark billboard?